Some things never go out of style. Truly novel ideas and technologies make such a big impact that people and businesses can’t help but use them. Backup tape storage is a fine example of this phenomenon. Despite the fact that magnetic backup tape is over 50 years old, according to GCN, the solution is still widely deployed thanks to the storage medium’s numerous benefits. IT managers planning to expand existing storage infrastructure or build up a new solution should not overlook opportunities to generate considerable ROI by selecting backup tape over disk for archival purposes. 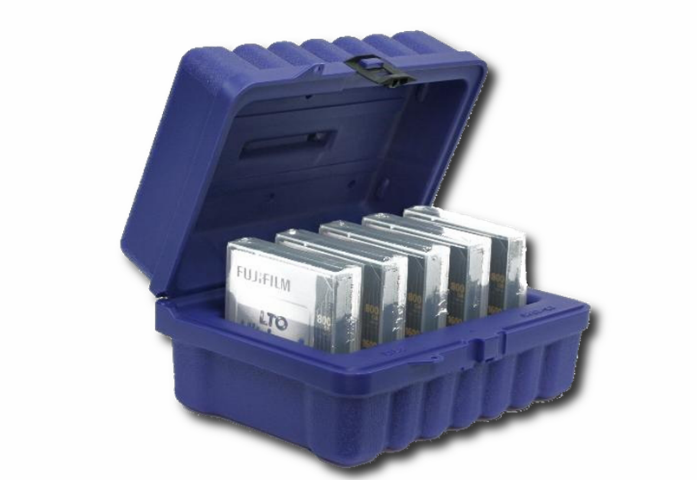 Though disk solutions have become more popular over the past few years, the unique advantages of storage tape remain. Accidents happen in storage IT environments. Companies can do everything in their power to minimize damage to company assets as a result of human error, but a bit of carelessness will put storage systems in danger sooner or later. IT departments utilizing tape solutions have a bit less to worry about than those in charge of disk-based archives, thanks to the deceptive durability of storage tapes. The Economist noted that the vast majority of data stored on a magnetic tape can be retrieved even if the tape itself snaps in half. Disk drives are far more fragile by comparison, and prone to failing completely when they do sustain damage. A failed disk drive could put quickly put a company in serious financial straits, and this potential for loss emphasizes one of the key perks of tape storage. Tape retains the advantage when it comes to total cost of ownership, especially for long-term archival purposes. A cost projection performed by industry analyst firm The Clipper Group concluded that disk storage projects are 28 times more expensive than tape over a nine-year period. Additionally, the study reported that disk solutions take up four times as much space as comparable amounts of tape storage capacity. Space- and cost-conscious businesses can also reduce the operating costs of backup tape even further by deploying a smart storage management platform like Vertices. In addition to requiring less energy to operate than disk storage, backup tape is more flexible in terms of offline functionality. Disk storage, on the other hand, experiences a failure risk each time the technology is unplugged from its power source. This weakness of disk storage may discourage IT teams from reorganizing the physical orientation of storage hardware, a trend that may limit operations in the future. More importantly, this multi-faceted opportunity energy saving provides companies with another opportunity to demonstrate their commitment to sustainability. Disk storage users will have to take special care to ensure that data is not lost due to disorganization or an accidental reformatting job. If such a miscommunication occurs in the workplace, businesses stand to lose thousands of dollars’ worth of customer and enterprise data in seconds. Backup storage tape designed with “write once, read many” settings keep data safe from careless human hands. The added security of tape storage is also a boon for employees, who are less likely to be let go due to and formatting accident that contributes to permanent data loss. The ability to limit turnover in this way is just another reason why tape storage continues to outshine disk after all these years.